saying is quite right, I shouldn’t wonder. I’m a chap who always liked to know the worst and then put the best face I can on it. So I won’t deny any of what you said. But there’s one thing more to be said, even so. Suppose we have only dreamed, or made up, all those things – trees and grass and sun and moon and stars and Aslan himself. Suppose we have. Then all I can say is that, in that case, the made-up things seem a good deal more important than the real ones. Suppose this black pit of a kingdom of yours is the only world. Well, it strikes me as a pretty poor one. And that’s a funny thing, when you come to think of it. We’re just babies making up a game, if you’re right. But four babies playing a game can make a play-world which licks your real world hollow. That’s why I’m going to stand by the play-world. I’m on Aslan’s side even if there isn’t any Aslan to lead it. I’m going to live as like a Narnian as I can even if there isn’t any Narnia. But it is still a good read even if you’re already 21. Although I enjoyed LOTR more, I would still recommend the book to children of all ages (even 21 up), especially those who never abandon their search for the truth and their Creator. waaaah brenan!!!! Miss na kita bro. buti naman at nagblog ka na. hehehe. Sama ka ba sa gt sa davao dis May? Sama tayo!!!! visit mo blogsite ko ha. nice to see you in the net. sana hindi mo alam yung blog ko kasi not like yours, mine’s the typical cynics’ blog. hope to catch you on-line again. ms. rocha, i saw your blog already. it’s a nice space. i wouldn’t call it cynical though. this is my first post pa kaya. im glad to be a part finally of the blogsphere. im online on weekdays but im using MSN messenger. YM is not allowed in the office. (1)Obviously, Aslan is not a tame lion right? The same thing with Him. We cannot underestimate His ways. (2)This world is crazy. (I mean fallen). And we are fallen creatures so to speak. But someday, the Lord will redeem everything. How exactly will he do that? Your guess is as good as mine. hijo, anong ms.rocha? do u know hu i am? my family name is simon. kya nga mga nick’s monsi d b?! labo mo tsong a.
Imo gyud gi halungkat ni na post ba. 🙂 Yes, my blog is really old Khon. 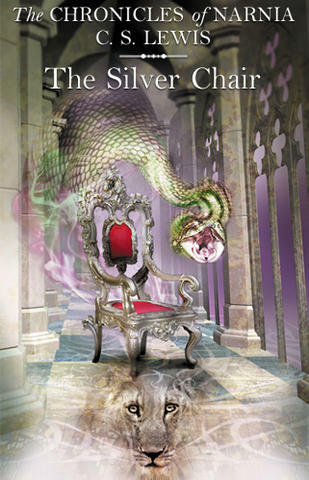 Silver Chair, I think, is my all time-favorites sa series.